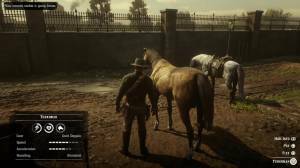 This is a great way to get good horses as early as Chapter 2 with a chance of not losing any honor or reaping any bounty. Make sure to save whenever you chance upon new breeds, even those you don’t want to take to update your compendium. If you’re familiar with the concept of gacha (from gashapon), this method follows the same idea. Basically you’re trying to “roll” and hope that you get lucky and find a random (preferably rare breed) horse in this spot with the best stats possible. This is a great method of having new compendium entry for horses. 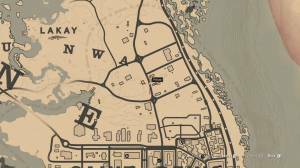 First, you have to access this unmarked location in the outskirts of Saint Denis. You can reach it very early in the game by taking a train ride, even if you haven’t discovered it beforehand. Your landmark should be the red house in the middle. At the back, you should find two horses. These horses are randomized, ranging from the common Morgan or Tennessee Walker to the elusive Arabian or Missouri Fox Trotter. Basically, you have to save in this area, check the horses, and if you don’t see a horse you want, exit the game and continue. It’s recommended to exit the game completely instead of reloading it. Rinse, repeat. Depending on your luck, you may encounter these rare breeds after a few attempts. In my case, it took almost 2 hours of doing nothing but this until I got several horses that I want, including the elusive Arabian. What if there are no horses? 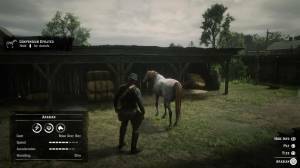 There will be instances when you load and you won’t find any horse or just one horse at all. Don’t worry, you just need to keep exiting or reloading. If that doesn’t fix it, consider leaving the area, spend some time camping until a day or two passes, and check again. You may even encounter horses belonging to your gang or rival gangs but you won’t be able to store them in a stable so they’re practically useless in your attempts. They won’t even get registered to your compendium since they’re just ordinary horses with unique names. 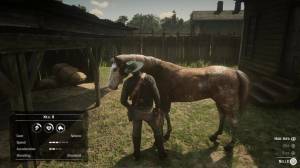 If you encounter a somewhat good horse that you want to keep (even for the meantime), you can stable it to add it to your collection. You can then keep doing the method and replace the stabled horses until you get what you want. To get the horses without any bounty or honor loss, you simply need to mount the horse while there’s no one around. This area is usually empty, save for one or two caretakers. If you find a horse you really want but there’s a witness, wait for him to leave then mount the horse. 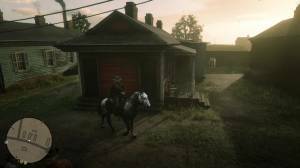 While riding it to a stable in the southern part of Saint Denis, make sure to be extra careful and not run into pedestrians or bumping into carriages to avoid losing the horse you worked hard “rolling” for.